My lovely, healthy Rex rabbit was vaccinated July 2014. In Oct 2014, she developed bad conjunctivitis which was treated by the vet and improved but 10 days later we were back with a swollen face and scabby lesions all over her body. Appetite remained good and a course of antibiotics was given. All settled and we were just left with scabby/deformed area above nose. Unfortunately, I have no experience with myxy, and have not personally seen any ulcerations of this type in my rabbits. 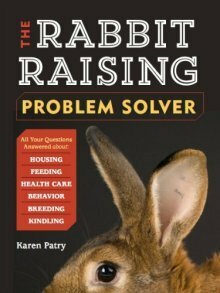 If your rabbit was vaccinated against myxomatosis, then why is it showing symptoms of the disease? Has the vet spoken to you about the failure rate of the myxy vaccine? This is curious, especially as viruses eventually mutate, finding ways to overcome the onslaught of rabbit (vaccine-induced) antibodies. It is difficult to say whether or not the nose lesion is a result of the vaccine. I rather think not, unless the vaccine failed and the rabbit ended up contracting a mild form of myxy, which caused the sore. Secondly, the rabbit's nose was scabbed for a full 5 months?? And then got knocked off to reveal an ulcer to the bone? I would love to know if the Flamazine (broad-spectrum silver-sulfadiazide antibiotic ointment) does the trick and heals the rabbit, and how long it takes to do so. How is the rabbit doing now, a couple months later? Would you mind giving us an update? And hopefully others with experience with myxy, or skin ulcers, will offer their thoughts. Comments for Reaction to the Myxomatosis vaccine?